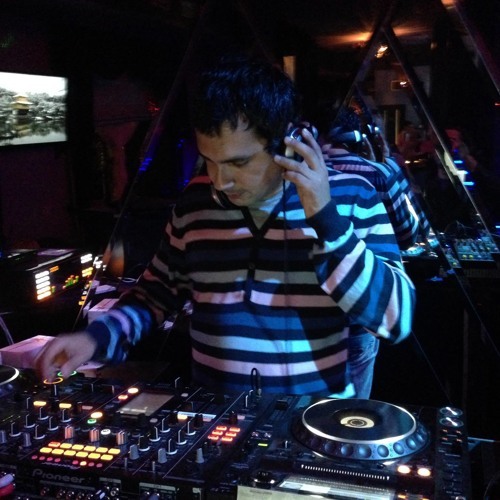 DJ / Producer Deep, Dark, Mystical, Intelligent Progressive, Old School, Dark Tribal Non-Commercial Segment... Arthur Sense was born in the town of Bryansk, Russia. His passion for electronic dance music began long ago, in 1994. Hernan Cattaneo, John Digweed, Martin Garcia, Dave Seaman, Danny Howells, Jimmy Van M had a great impact on his music taste formation. Underground sound was the standard that he defined for himself. Later he became interested in the origin of the musicians and gathered information about them. His first djing experience took place in a small town in Russia to which he was thrown by the fate. The intelligent sound he preferred often did not correspond to the club format, and this made him organize private parties and create recordings just for connoisseurs and friends. In the beginning of 2000, a real revolution in his vision of music was made by Moshic Shlomi aka Argonaut, and later Kintar, Rex & Maindave. Ethnic, oriental, tribal, dark progressive sound of the waves of deep bass lines characteristic of it determined the further development of Arthur Sense as a dj/producer. At the present time his mixes can be heard on many radio stations such as Frisky Radio, InsomniaFM, PureFM, Eilo, TribalMixes and more others.. His first release Izgrejala EP as product of collaboration with Graham Lloris released on InsomniaFM Digital and many others remixes and ethnic mash-ups & bootlegs was supported by many known Djs/Producers like CJ Art, Deep-L & Deepness, Matteo Monero, AquAdro, Frangellico and many more. Currently a friendly relations with colleagues, producers, labels and friends from other cities and countries are being upheld, and this helps him be in the course of events and all new...that is what he tries to realize in his intellectual sound…… Deep, Dark, Mystical Progressive/Dark Tribal/Old School Non-Commercial Segment... Arthur Sense (Russia) Viva la Underground!